Known to her audiences as “Baby Lorraine,” she began her riding career at four, performing trick riding on her pony. 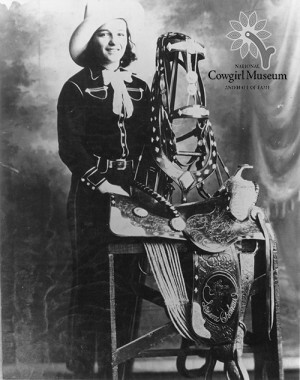 Lorraine was the star attraction in the Graham Company, a family act featuring eight riding brothers and sisters. Crowned the World Champion Juvenile Trick Rider, Lorraine set national records in trick and fancy riding, roping and bulldogging.